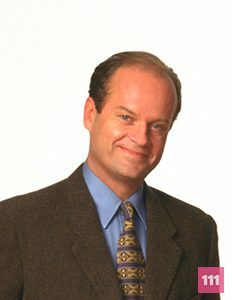 Frasier Crane‘s story began in the show Cheers where he was a regular customer and friend of Sam Malones. He chooses to move to Seattle to become a radio psychologist where he works closely with his producer Roz Doyle. Although he may help others with their relationship issues, he faces plenty of his own going woman to woman in search for love. He has a bickering relationship with his brother Niles Crane and is frequently under scrutiny from his father Martin Crane. Born in Charlotte Amalie, Virgin Islands. His birth date is February 21st.